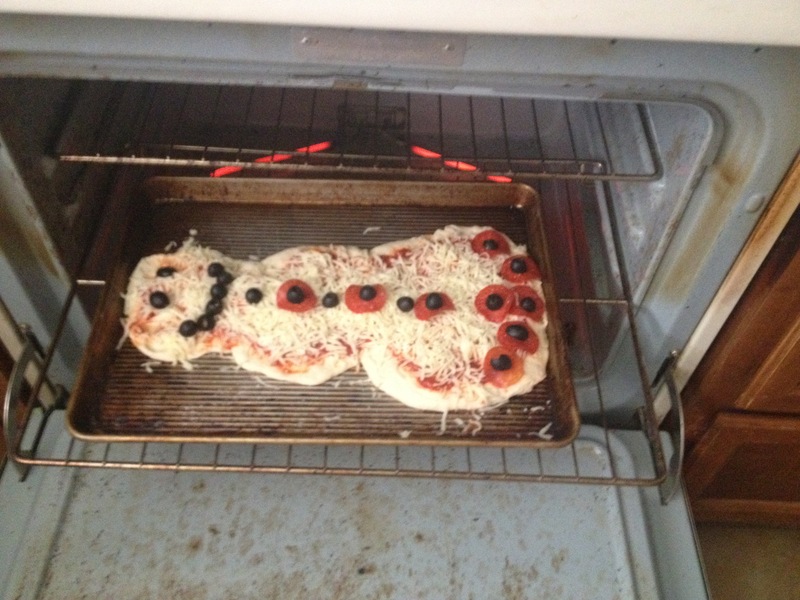 Baking #22: Do you wanna bake a snowman? blanket, some hot chocolate, and to watch the movie Elf. We live in Phoenix so this seemed a little crazy, but he told us he wanted to pretend it was Christmas so we decided to theme our whole day around Christmas in June. (Since we won’t be watching him in July this made perfect sense.) We were more than happy to accommodate with the movie because Elf is one of our all-time favorites. In fact, I watched Elf while I was in the hospital in labor. 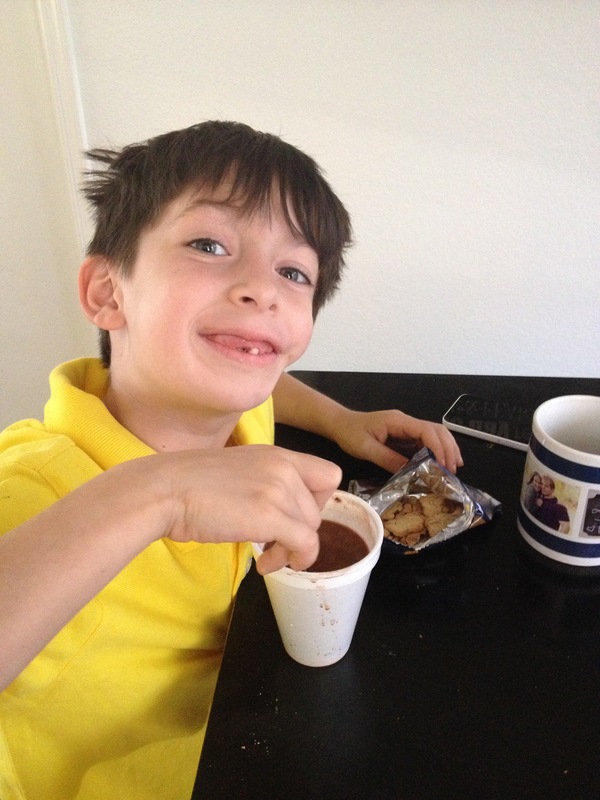 That’s how much we love it (and how much I wanted to laugh through my nerves about giving birth…) So we had hot chocolate (or a mocha in my case) and watched the movie and turned on the fans so that bundling up in blankets wouldn’t lead to heat exhaustion and had a great day. When it came time for lunch I knew just what to do. 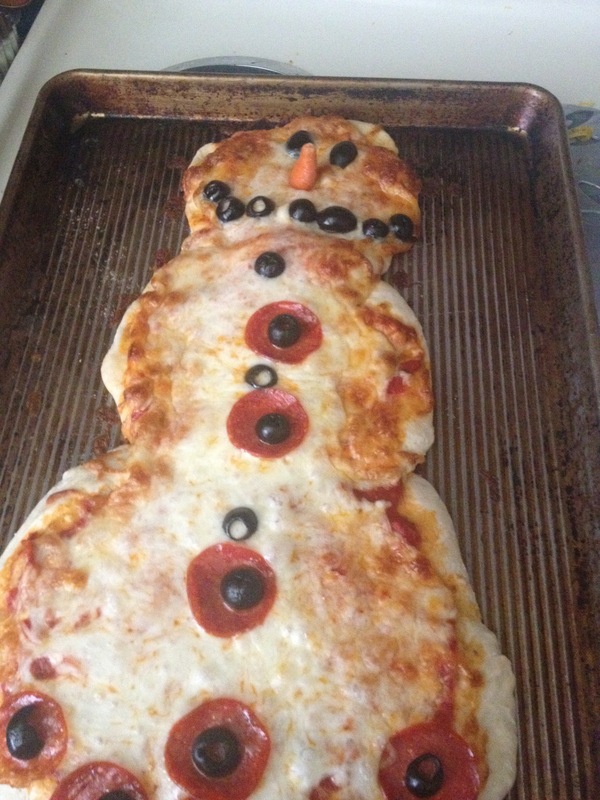 I’d been wanting to make homemade pizza and blog about it for a while and since we were having christmas in June I thought- SNOW MAN PIZZA! I found a super simple recipe for pizza dough that didn’t require sitting overnight or a very long time for the dough to raise. I then sang to my nephew, who is obsessed with Frozen like everyone else his age, “Do you wanna bake a snowman?” and that was all he needed. He was not only SO excited to make this pizza, he immediately kept singing “do you wanna build a snowman” with new lyrics that included something about pizza being yummy and how he wishes he was made of pizza but his cheese would melt off… ah childhood. 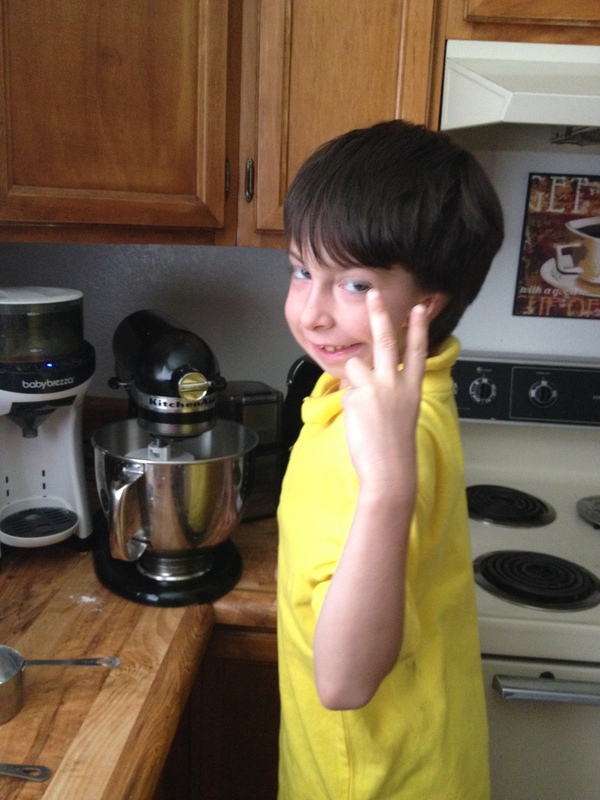 My nephew had so much fun helping make the dough and rolling it out. 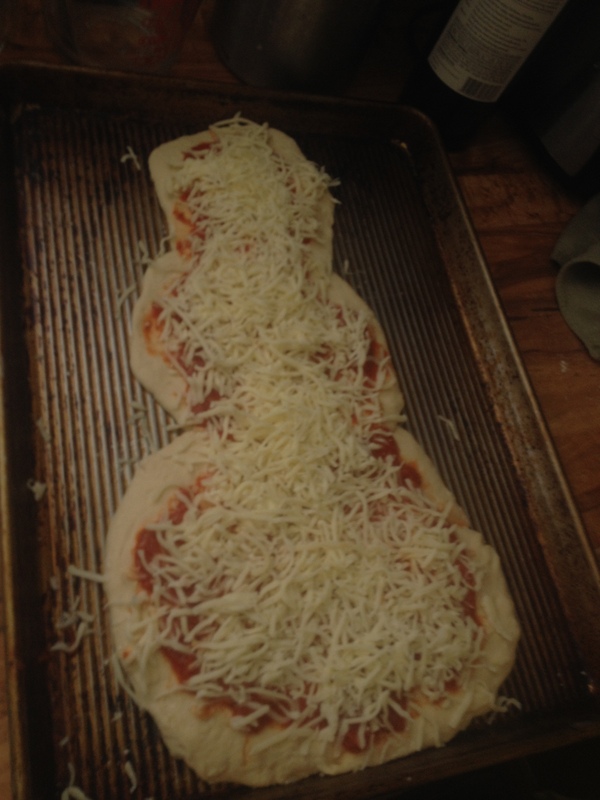 The beauty of the snowman pizza is that you can make the three different circles as thin or as thick as each person wants so my nephew wanted thin crust and had the top piece, my husband wanted thick crust and had most of the bottom piece (He shared with our son who loves chewing on crust!) and I pulled a Goldilocks and had a crust somewhere in between that was just right. 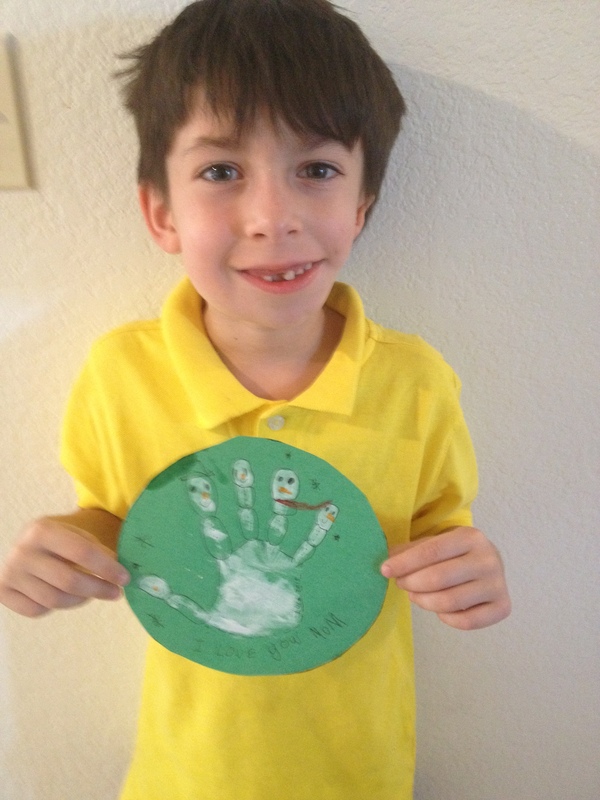 Then came the fun part- decorating! We would usually add more veggies, but we didn’t want the white “snow” of the cheese to be too covered with other things. My nephew made up for it with lots of pepperoni and olives which are his favorite topping of the day (it was different last week so who knows when that will change again) We baked it a little less time than the recipe called for and then added a carrot nose at the end. Then we tried very hard to be patient to wait for it to cool enough for us to eat without burning our mouths. It was a hard wait!